Your Personal Settings include things like your name, password, email address, profile photo & timezone. You can also generate API keys. Your Personal Settings include things like your name, password, email address, profile photo & timezone. 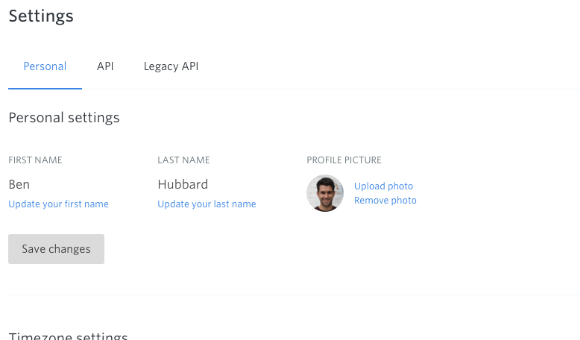 You can also generate your API keys for our API (used for custom & new integrations) or Legacy API (used for the WordPress, Drupal and Expression Engine plugins). Select ‘Save changes’ to update your settings. Tip: You can manage and update the settings for other people in your account by going to People and Groups and viewing their profiles. 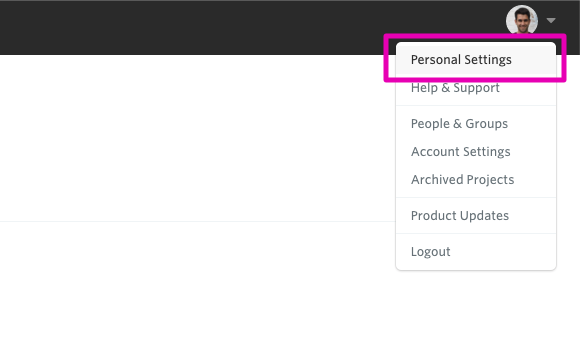 You can learn about managing everyone in your account in this guide.